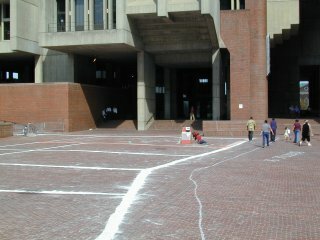 Making Time Visible was a temporary public art installation, conceived by Gretchen Schneider (an architect who teaches at Smith College, Northampton, MA) that would render the streets of old Scollay Square on City Hall Plaza in chalk. 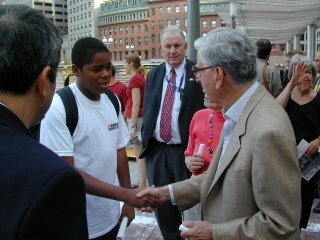 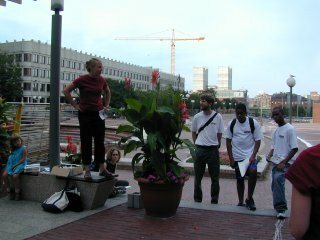 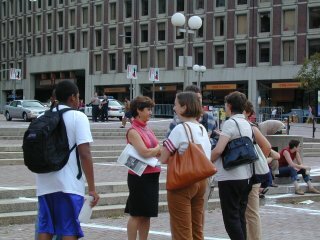 Under Schneider’s supervision, local architects, architectural students and team of students from the Citizens Schools will spend the day on City Hall Plaza surveying, laying out and drawing in chalk Cornhill, Brattle, Hanover, and Washington Street, four of the 22 streets that once crisscrossed Scollay Square. 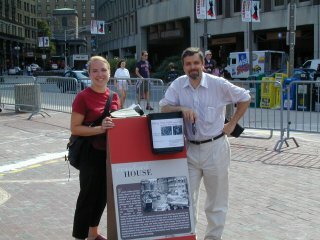 You can read Gretchen's orginal proposal here. 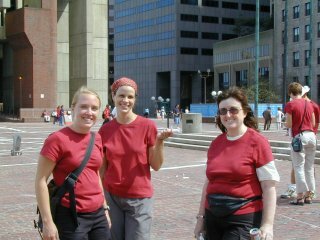 Email Gretchen here. 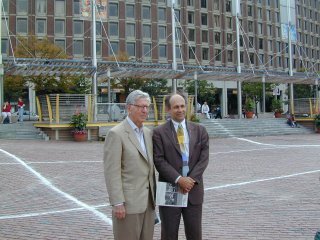 August 27, 2002: a panorama of City Hall Plaza with the streets of old Scollay Square drawn in chalk dust.